to know why Maintenance Services WordPress Themes are so important you have to know some things. Everything in this life needs constant attention. Even as human beings, we need to take care of ourselves, not to get sick and die, and the most important things that need constant care are our homes and structures. They are the most used things in our lives and the more we use them, the more care we need. So the work of maintenance services has emerged, and undoubtedly work such as this requires massive investments, steel nerves. This is why we often prefer to simplify our lives and ask for home renovation services to provide professional help. If you are one of those people who work in the field of home repairs, your business is no longer limited to friends, neighbors or acquaintances, but you can now spread more widely and reach people in remote areas through the right tools for e-marketing. Now let me simplify things a bit. Let us say that I need a person who does some maintenance work for my home or office. I will search for this person through the nominations of friends and family, or I will open the Internet and search on Google or the social networks, and here comes the role of the website. What the website really offers is the ability to reach people who were not in a day you thought about dealing with them because of the distance or for any other reason. You can also put your work and abilities through this site and give you a kind of professional work, as you can Open a shop to sell supplies and determine the price of your services, and then the customer can determine the cost before he asked you so you will not waste time negotiating your price. 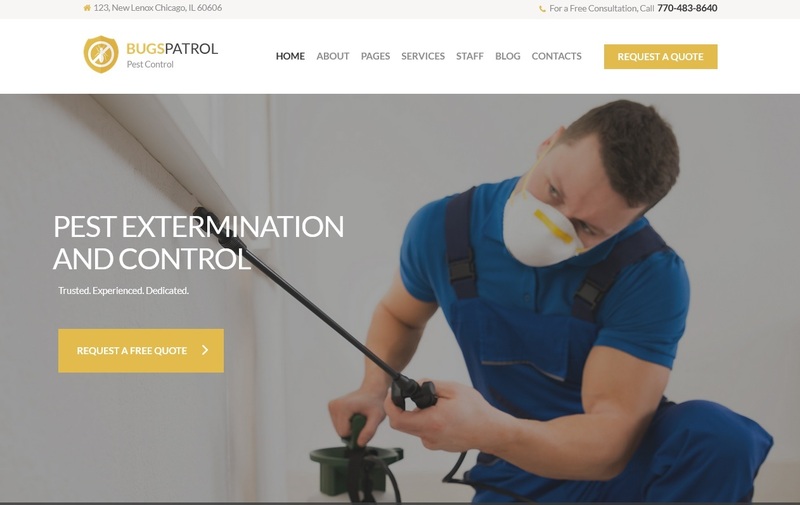 BugsPatrol WordPress Press Theme is the best in its field as Maintenance Services theme, it is quite suitable for those who provide pest control services, professional team, agency, company providing pest control services, business, construction services, household services, individual office pest control offices, extermination services or other termination services. BugsPatrol is compatible with a suite of additional plugins such as Revolution Slider, Essential Grid and WPBakery Page Builder that make your work easier and more efficient. The subject is fully responsive and 100% retina and SEO ready. 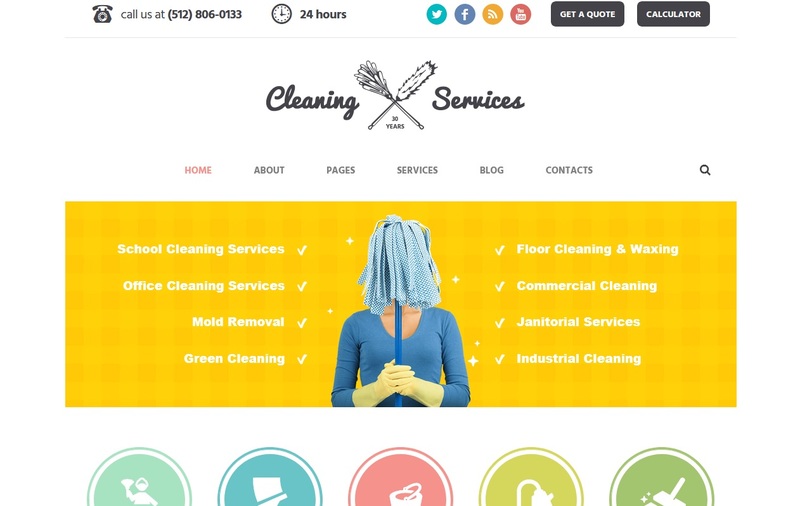 Cleaning Company is a maintenance services WordPress Theme For the owners of cleaning service, janitorial and maintenance services companies, maid service agency, Ancorathemes has crafted beautiful & colorful Cleaning Company WordPress theme. The theme has a lot of features as it is compatible with WPBakery Page Builder (Visual Composer), Revolution Slider ,Timeline plugin, WooCommerce & PO Composer. A full pack of shortcodes and custom widgets .Supplied with helpful extensive documentation. Every day there are many people who buy new furniture, who build new homes from married and moving people to live in new cities. What really disturbs them is their inability to find companies or people who are trusted to carry furniture or storage. 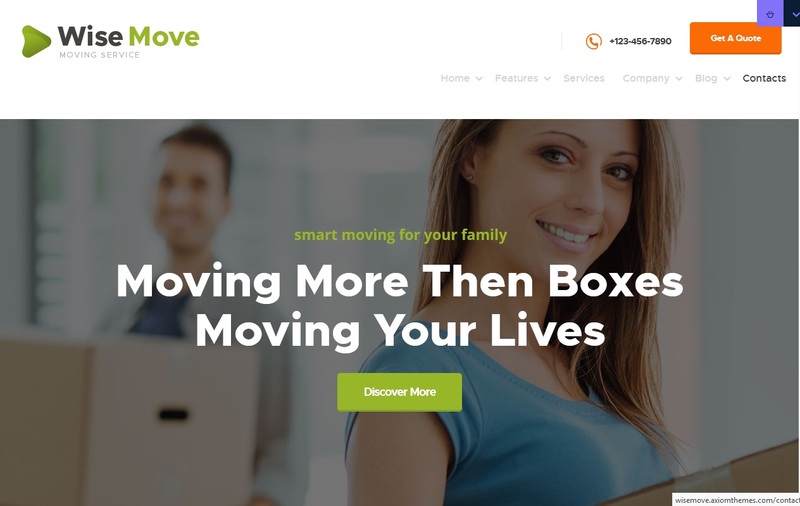 If you are one of those people who provide such services, it is better to speed up using the Wise Move as a maintenance services Theme. The theme provides you with many possibilities that will certainly help you reach as many potential customers as possible and adds the ability to manage your business with ease and professionalism. with this theme you have a lot of advanced blog options,like 20+ Post Animations and fully-customizable blog feed.The theme has lots of pre-designed pages to display your main services, your gallery and news, etc. it is compatible with plugins as WPBakery , Essential Grid, etc. for you to easily develop an online presentation for your company.The theme is fully responsive and Retina ready, To make your website responsive to any device,which will be a great benefit for your business. 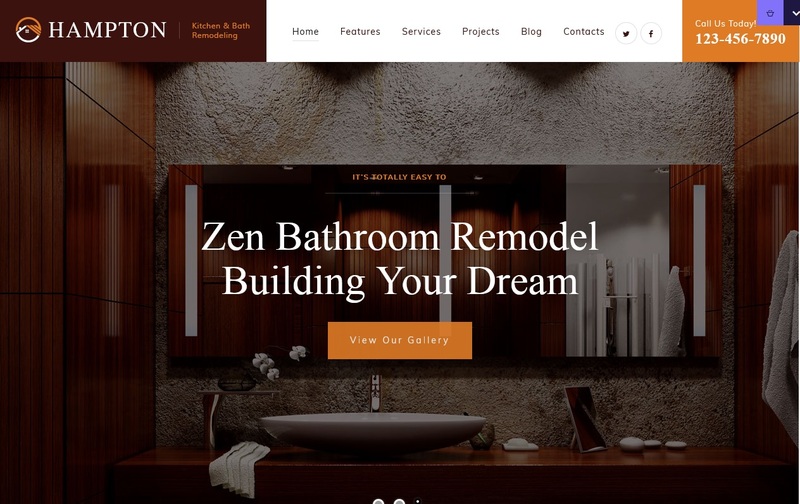 Hampton WordPress maintenance services Theme has a gorgeous Slider Revolution, soYou can put your projects and designs on the site in a more attractive way to attract customers. the theme is utterly-responsive and Retina ready, so you can have a good look of your website and all its elements on any device. thetheme offers unique homepage layouts, gorgeous Slider Revolution ,and it is compatibility with WPBakery, Instagram Feed, WPML,Booked Appointments, Essential Grid, , and a lot of other premium features that will help you a lot to make your company’s success. the theme fits perfectly for a home repair business agency,house renovation,remodeling company, and home interior design bureau, as well as any corporate house maintenance services, such as plumbing, decorating, roofing, carpentry firm, construction & remodelling business, architecture company etc. 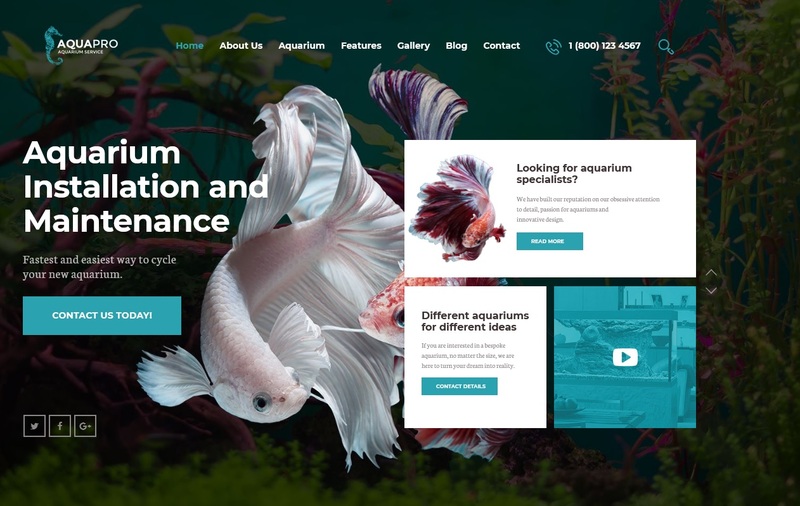 AquaPro maintenance services WordPress theme desined to fit for crafted for aquarium installation ,aquarium store selling supplies, accessories and aquarium inhabitants. Or you can turn the theme into a stunning blog on aquarium pets. 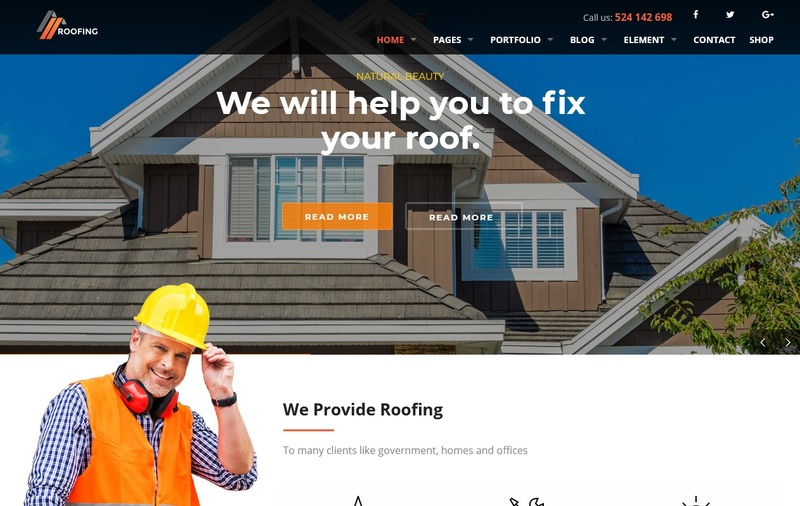 Roofing is maintenance services WordPress theme designed for construction companies,it has a lot of features Which helps you to reach customers correctly like Visual Composer and pack of shortcodes,Unlimited colors.Unlimited Portfolio Layouts,Woocommerce fully compatible.the theme fully responsive for any device or browser. 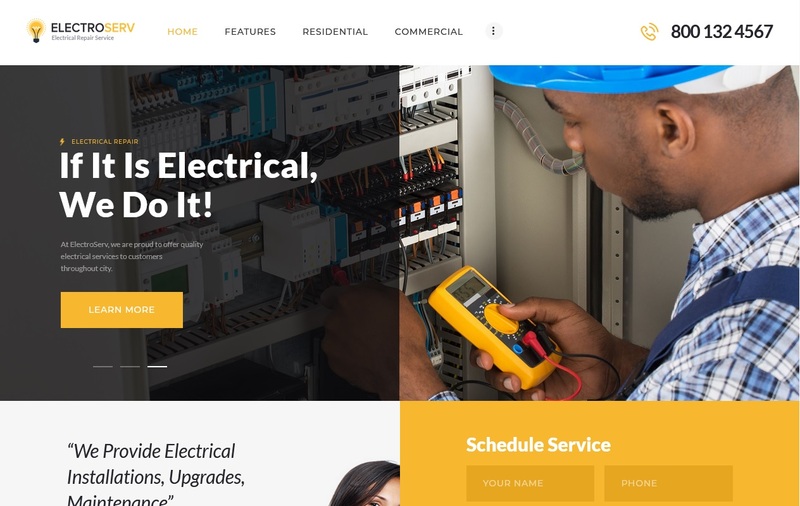 the theme is especially designed for roof repair, paving, plumbing, repair, renovation,renovate, asphalt, engineering, handyman, industrial, maintenance, home improvement, handyman, carpenter, painters..
ElectroServ maintenance services WordPress theme that is right fit for companies providing repair, renovation, plumbing,professional handyman teams,construction business firm, electrical installation, carpentry, decorating or roofing services, cleaning agency or any kind of niche websites related to house repair and household. Dozens of premade pages: About, Benefits, Team, Review, Contacts etc. 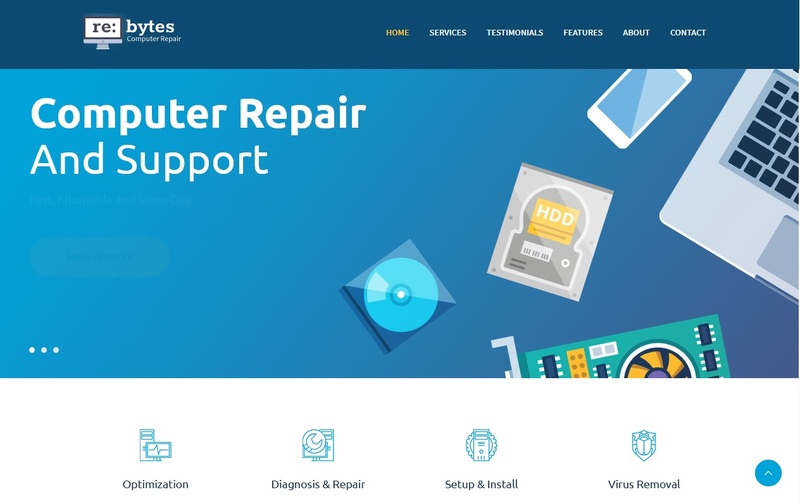 Re:bytes is is right fit for computer repair services, web hosting business, creative / photography agency or any technology website. The theme is quite versatile and can be used for any corporate, business and company sites. 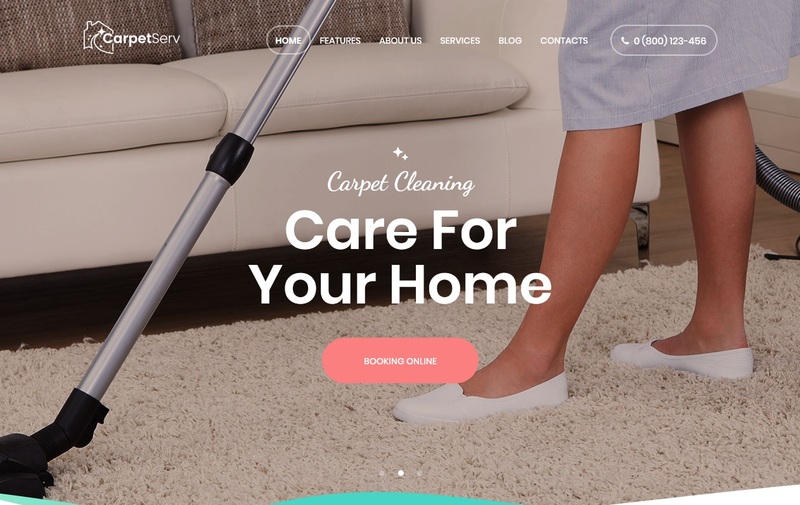 As maintenance services WordPress theme,CarpetServ is abeautiful, modern & powerful Cleaning Company WordPress theme.it is compatible with a bundle of premium plugins like Revolution Slider, Essential Grid, WPBakery Page Builder. The theme is fully responsive and 100% Retina and SEO ready and fully supported with detailed HTML documentation. The theme has a Construction Theme features like 3 homepage layouts available,Full Woocommerce store compatibility,Advanced QUOTE & Contact Forms, andPremade pages: services, about, contacts, team, gallery, products etc. 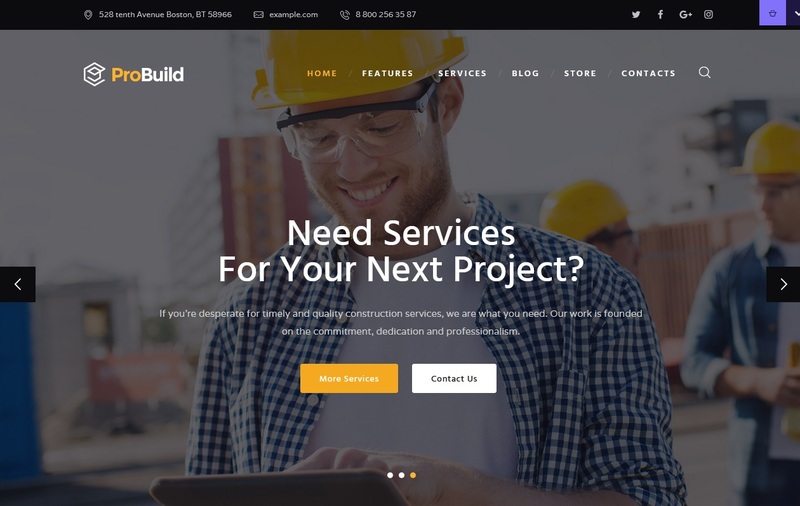 The theme is 100% responsive looking stunning on all retina devices.with ProBuild you can give an exposure to your construction business. Your site should look clean and well organized. People will trust you to repair their homes if you can not handle the creation of web content.your website should run smoothly, provide fast page load speed, and an interactive look on mobile devices. To achieve these goals, you must look for a responsive theme that has a huge package of built-in features, and is compatible with the best plug-ins in the world.